Golden landscape, golden sun and gold-medal wine! Known for its wine, Hawke’s Bay is also blessed by a massive 2200 hours of sunshine per year! 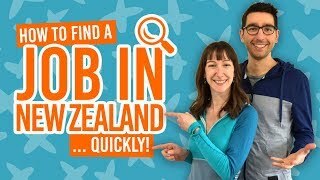 With that comes a great opportunity for backpackers to get picking jobs and explore a new picturesque part of New Zealand. Much drier and flatter than most of the North Island of New Zealand, Hawke’s Bay offers a very unique landscape that you are bound to find refreshing. Here, the green forests and tall mountains are replaced by golden hills, historical architecture, award-winning wines, hiking and biking trails that are refreshingly easy. Another strong point of Hawke’s Bay is its accessibility. Making your way between its two main cities, Napier and Hastings, will be a breeze: 15-minute drive, 45-minute bike or 1h30min walk. It can be all seen from the famous Te Mata Peak, one of the prime lookouts of the region. Discover Cape Kidnappers and its gannet colony. Treat yourself to fabulous food and wine. Hike the Waikaremoana Track (one of the New Zealand Great Walks). Bike the scenic trails or go downhill mountain biking. Embrace Napier’s Art Deco heritage. Wherever you look for information about Napier, you will stumble upon the same theme: Art Deco. The city is, indeed, all about it! A little bit of history: in 1931 a huge earthquake followed by a massive fire destroyed most of the city. When rebuilding it the locals chose to go with an Art Deco style. As a result, Napier has the largest concentration of Art Deco buildings in the Southern Hemisphere allowing the city to be incredibly different to any other city in New Zealand. The Art Deco Centre guided tours of the city leave four times a day day for those who want to dig deeper into the town’s history. Simply walking down Marine Parade will give you a great feel of the unique vibe, but it’s best to visit the city in mid-February for the famous Art Deco festival. The 1920s and 1930s are celebrated like nowhere else in the world with over 50 events every year! Old cars, jazz music and fancy suits will entertain you during the 3-4 day festival. On the seaside, Napier also has much to offer. For those that live by the motto: “go up to see more”, we suggest the 4.5km climb up to Bluff Hill for a dazzling view of the sea and the area. Westshore and Bay View Beach are within walking distance of the city for those that would like to swim or fish. If you have the opportunity to take the bike trail between those two beaches, do so. You won’t be disappointed! In fact, Hawke’s Bay is extremely well connected with bike trails, from scenic trails to adventurous mountain biking. Check out our Biking in Hawke’s Bay guide here. For more things to do in Napier, check out Napier – Guide for Backpackers. A short drive away from Napier, Hastings architecture embraces a very different atmosphere – very “Spanish mission” like. The city has many parks, which are well maintained, to offer plenty of space to relax. Windsor Park even has a water park, Splash Planet, if you want to have some simple fun during summer (November-April). Surrounding the city area there is an incredible amount of wineries with top notch food and wine that you can tour around on your bike. You could visit up to nine wineries in only one easy day of biking. (Visit Mountain Biking in Hawke’s Bay for more information). If wine is not your thing, at only 400m high, the Te Mata Peak offers a 360° view of an area covering 150km! Quite impressive, especially at sunset. We like to hike up there but for those that would like to drive, be careful on the last leg of the road – it is narrow and there are no guardrails! Find out more about the walks in the area at 10 Wonderful Walks in Hawke’s Bay. Best seen in November/December, the cape is a protected area with a 9km predator-proof fence. It is home to four gannet colonies. The Plateau colony is the largest mainland gannet colony in the world with thousands of birds each year and one of the most accessible colonies too. Great pictures ahead! The viewing seasons run from October to April but the public access is highly restricted. Your best bet is to book a tour in tractor (! ), 4WD or helicopter. Should you want to save some money, head down to the Black Reef colony from the beach. The hike is about 5 hours and you will have to time it with the low tide. Aside from the gannets, the cape is also home to many other bird life including penguins and marine life such as seals. Check out what other animals and birds you can see in New Zealand. For the golfers, the Cape Kidnappers is home to one of the world’s most beautiful golf courses. Travel north to the borders of Hawke’s Bay and Eastland to Wairoa. This is a great base if you are wanting to explore the Te Urewera Park or do the Lake Waikaremoana Great Walk. The 46km track is a 3-4 day hike through ancient forest so sensational viewpoints and secluded beaches along the huge Lake Waikaremoana. If you are looking for a more relaxing experience, take State Highway 2 north of Wairoa to the Morere Hot Springs amongst some of the last remaining native forest on the east coast. Nearby to the Morere is Mahia Peninsula. This is particularly popular with surfers who can find consistent waves all year round. Walk along pristine sandy beaches and in wild forest on the Mahia Peninsula walking track. The track is 7km south of Mahia Beach up Kinikini Road. Allow 2h30min to do this loop track. Incidentally, you’ll also find the world’s longest place name in Central Hawke’s Bay. It is near the delightful little settlement of Porangahau at an otherwise insignificant-looking hill. You can’t miss the sign for its sheer size, but if you want specifics, look out for Taumatawhakatangihangakoauauotamateapokaiwhenuakitanatahu. At 85 letters, it has been listed in the Guinness World Records as the longest place name. Meanwhile, on the coast, take a snorkel or dive trip into the Te Angiangi Marine Reserve, which holds an abundance of protected marine life between Blackhead Beach and Aramoana. Stingray Bay and Shelly Beach are the best sheltered beaches for snorkelling. For more beaches worth visiting, check out 10 Beautiful Beaches in Hawke’s Bay. Visit Napier Prison and its intriguing stories and myths. Get into the New Zealand Wine Centre. Visit the Oak Chocolate Company (yum!). Visit the Arataki Honey Visitor Centre of Havelock North. Bike to Ahuriri from Napier and enjoy a drink on the harbour. Take the boardwalk over the Ahuriri Estuary, Westshore and spot birds. 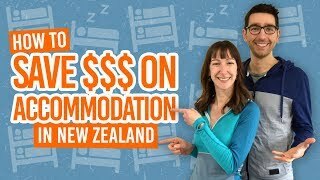 Where to stay in Hawke’s Bay? For more budget accommodation options, check out our Accommodation Guide to Napier and our Accommodation Guide to Hastings.